BOMIZER makes it possible to assign various types to combined components. This is very important, because this functionality enables the software to collect data and provide them in the Bills of Materials in an appropriate manner and in accordance with the content of the project file. The assignment process is managed via toolbar. To modify the type of component, we have to select the component. 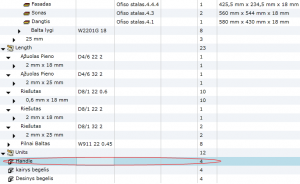 Toolbar responds to the selection and displays the button marking the type assigned to the selected component. We can assign a different type to the component by clicking another button. 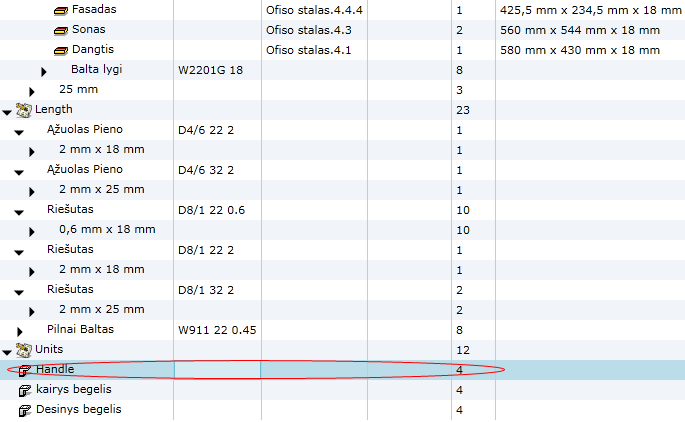 The example shows how a handle component is added to the drawer of the table and how it is marked as standard. This component is now marked as standard, thus it will always be included in the list of purchased items given in the Bills of Materials.